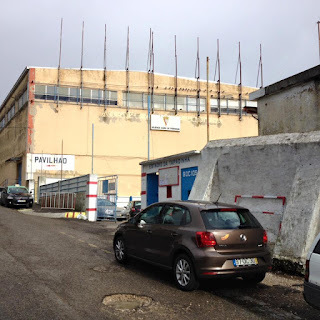 Atlético Clube de Portugal is a sports club from the Alcântara district in the west of the Portuguese capital of Lisbon who were formed on the 18th September 1942 following the merger of Carcavelinhos Football Clube and União Football Lisboa. 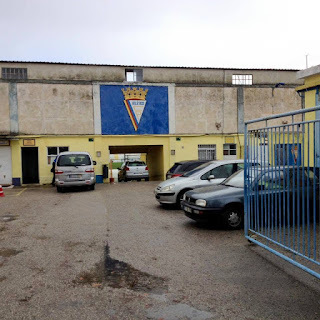 The club has sections for futsal, swimming, hockey, basketball, triathlon, gymnastics and bingo, but it is as a football club that Atlético are best known. União Football Lisboa was formed on the 3rd March 1910 by a group of enthusiasts from Santo Amaro, they were initially called Grupo dos 15. 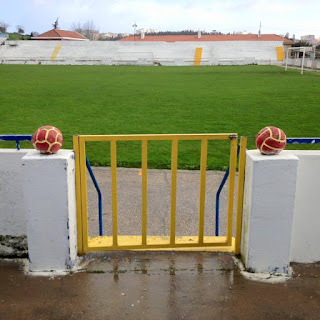 Carcavelinhos Football Clube were formed in 1912. 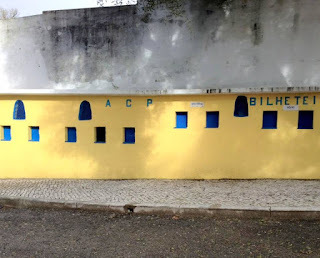 On formation the club moved into their Estádio da Tapadinha and by 1943-44 Atlético CP, as they are often known, had joined the Primeira Divisão, the top flight of Portuguese football. 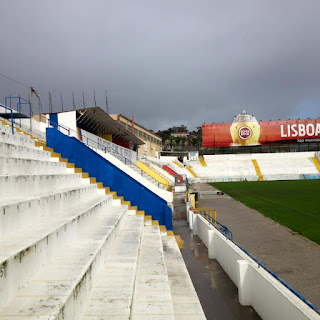 In 1946 the team reached the final of the Taça de Portugal (Portuguese Cup) but lost out 4-2 to Sporting CP at Estádio Nacional, Jamor. 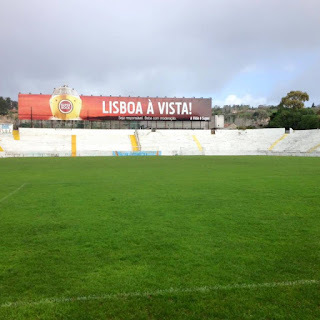 The re-appeared in the 1949 Taça final at the same venue, but on that occasion they lost 2-1 to SL Benfica, while they continued life in the Primeira Divisão, where they achieved a couple of top three finishes before being relegated in 1956-57 to Segunda Divisão. Promotion back to the top tier was achieved in 1958-59 where they remained until the conclusion of the 1962-63 campaign. 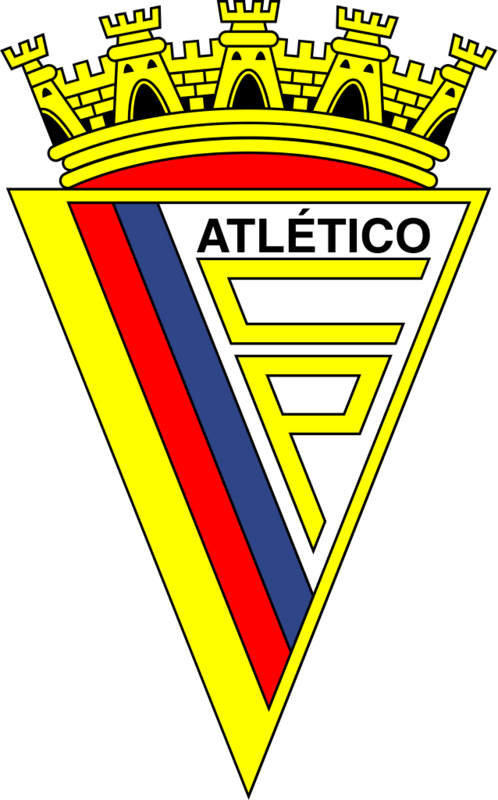 Another promotion came in 1965-66, but this time Atlético’s spell amongst the elite lasted just one season. There was a re-occurrence at the end of the decade as promotion in 1967-68 was met with relegation in 1968-69. The club fought back once again and went back up in 1970-71. 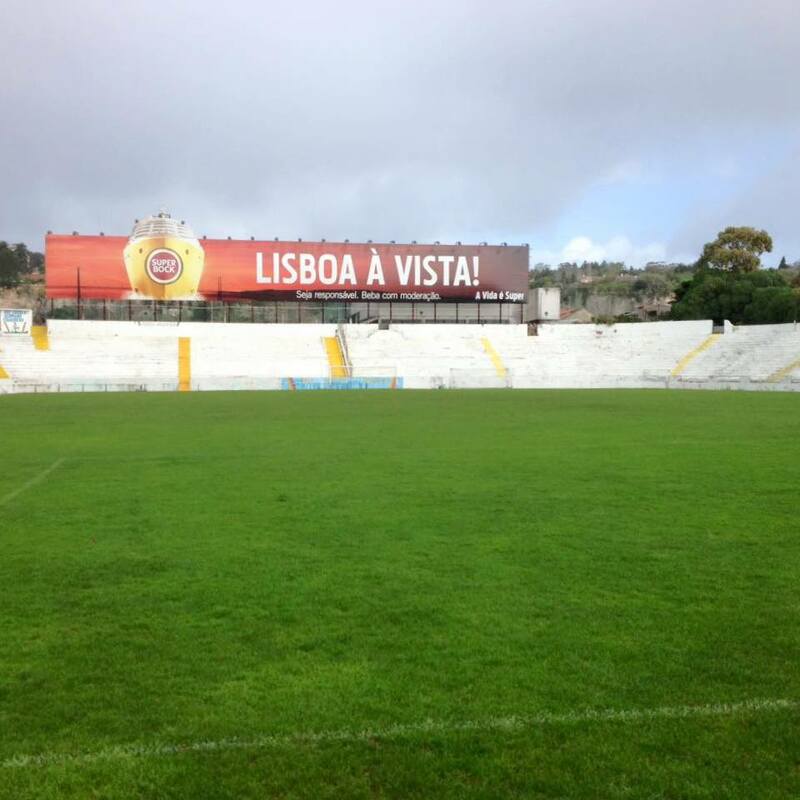 This time their spell in the Primeira Divisão lasted two seasons. After an absence of two further seasons spent in Segunda Divisão, Atlético once again bounced back to appear in top flight football. The 1976-77 season saw the team finish bottom of the table to be demoted once again. This time the drop from the top flight would be terminal. 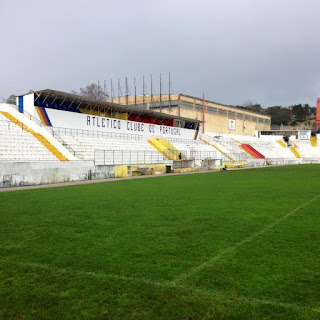 By the 1980’s the club found themselves in the third tier Terceira Divisão before fighting their way back up one step as the decade progressed. 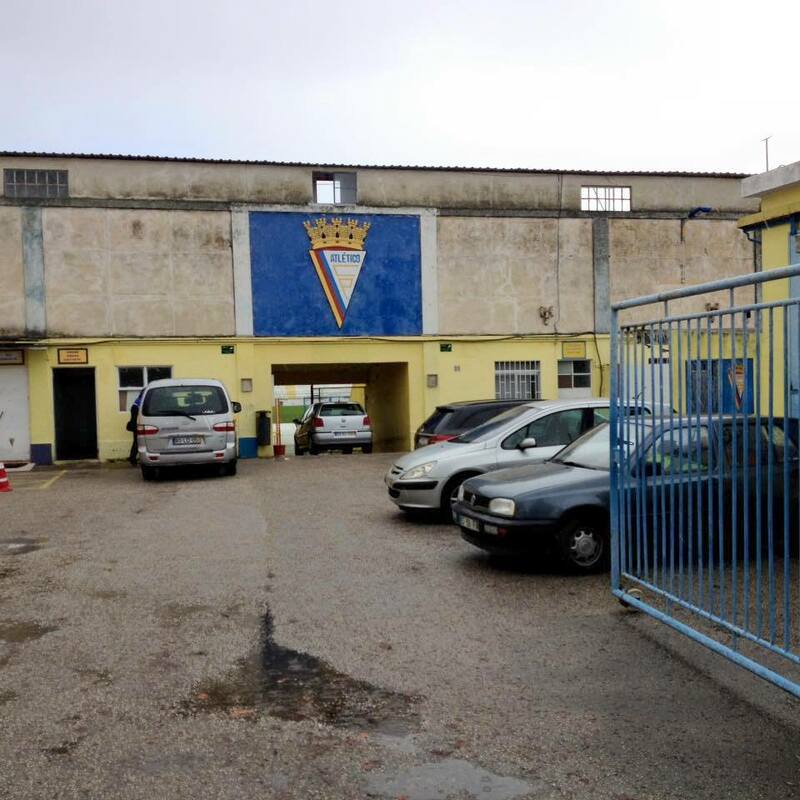 Following a restructuring of the league system Atlético were placed in the third tier Segunda Divisão B for the 1990-91 campaign. The club spent the 1999-00 season in the fourth tier before making an immediate return. 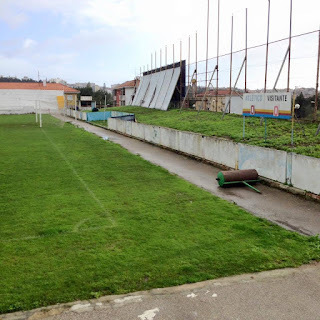 They were to go back down to the fourth level Terceira Divisão in 2001-02. The team won the regional Série F title in 2003-04 before returning to the fourth tier after just one season. 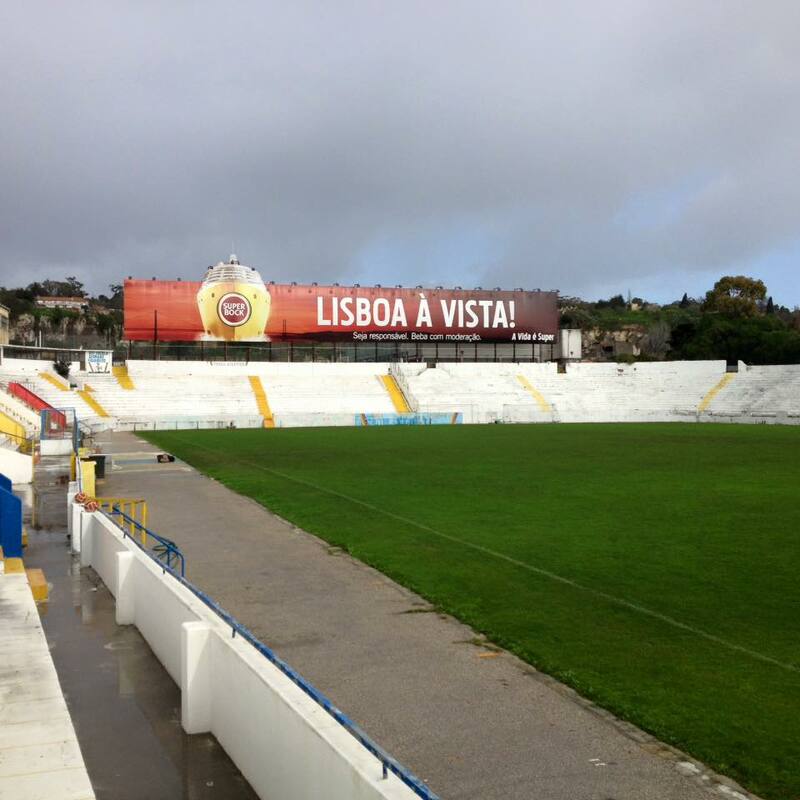 The Terceira Divisão - Série E championship was sewn up in 2005-06 to guarantee another promotion. 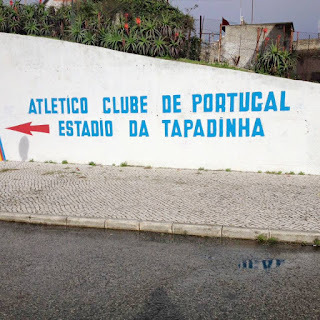 In 2009-10 Atlético finished as runners-up in Zona Sul before lifting the title the following season to secure a return to second tier football in the Liga de Honra. Led by Toni Pereira the team finished just above the relegation spots in 2012-13. Bruno Baltazar took over for the following season before he was replaced as early as August by the Spaniard boss Gorka Etxeberria. He in turn resigned in November with Professor Neca arriving as his replacement. The team skippered by Hugo Carreira finished bottom of the table but avoided relegation. Atlético kicked off the 2014–15 Segunda Liga campaign with former Portuguese international midfielder Nascimento leading the team. With USA born striker Bjørn Johnsen starring, the team once again managed to avert the drop. Pedro Hipólito arrived to lead the team in the 2015-16 season in the LigaPro as the second tier had been re-christened. Atlético CP will play in the LigaPro in the 2015-16 season. At least there were some breaks in the clouds as I emerged from my self contained apartment in Lisbon’s old town of Alfama. The previous day had been absolutely miserable and my trainers hadn’t even dried out properly. Rather than going home for a change I had gone straight out and gone to bed early, meaning a good start to my Sunday expeditions. The sun even appeared, giving the backdrop a beautiful lease of life. Eventually after asking a local I found the correct bus stop for the number 760 bus at Pç. Comércio. I knew I was on the right service as the destination read Cemitério da Ajuda on the front. 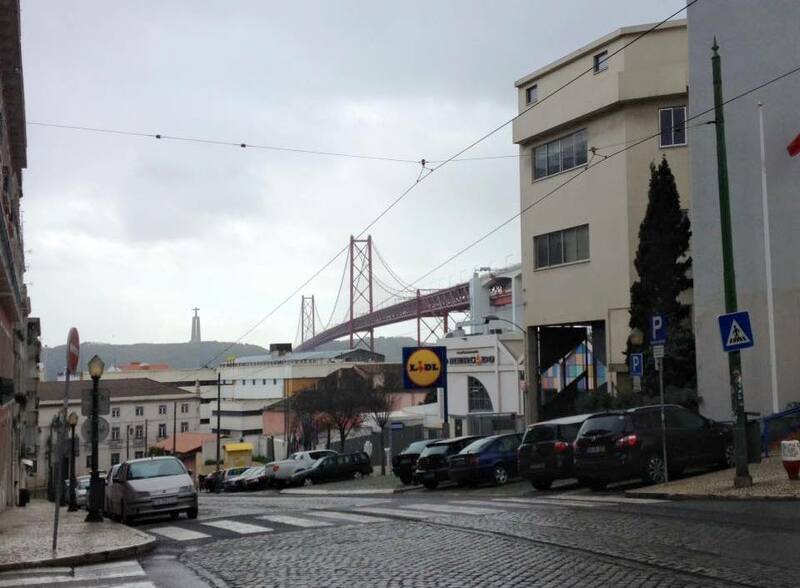 It was a busy bus which went along the waterfront before cutting into the hill near the dramatic Golden Gate style Ponte 25 de Abril bridge over the Tagus. Inadvertently I got off a couple of stops early by a parade of shops on R 1 de Maio and had to walk up the hill along Calcada da Tapana and under the raised bridge approach before a final climb up R Prof Vieira Natividade. I wandered round to the main entrance to find an open gate. A groundsman was working in his garage with his dog keeping guard. Fortunately it seemed to be a friendly pet, or it appreciated groundhoppers respecting his club? Estádio da Tapadinha was another cracking venue. Once again whitewash had been used on all the terraces, but it looked cared for. Three sides had a continuous open steep stepped terrace, with the final main side having a long covered VIP and media area along the top. The river end had no spectator accommodation, but what I imagined to be a long trek to fetch back any errant shots on goal. 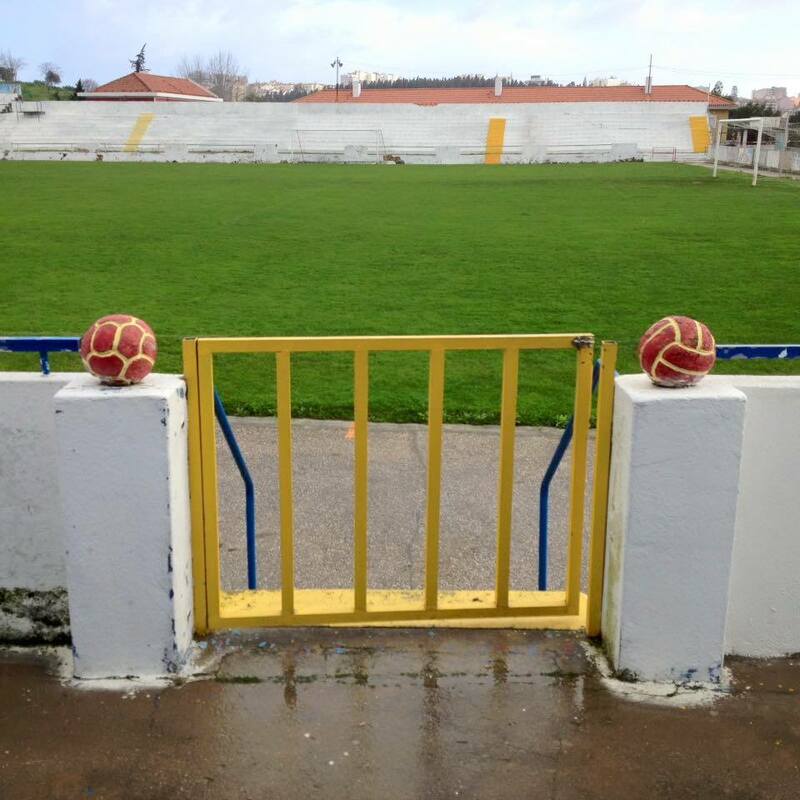 A lovely feature was stone footballs on either side of several gates leading to the pitch at the front of the stand. Such attention to detail would enhance so many other soulless venues. As I wandered back out I heard the noise of a game in progress on the second pitch behind the top goal, but time was against me going for a look. 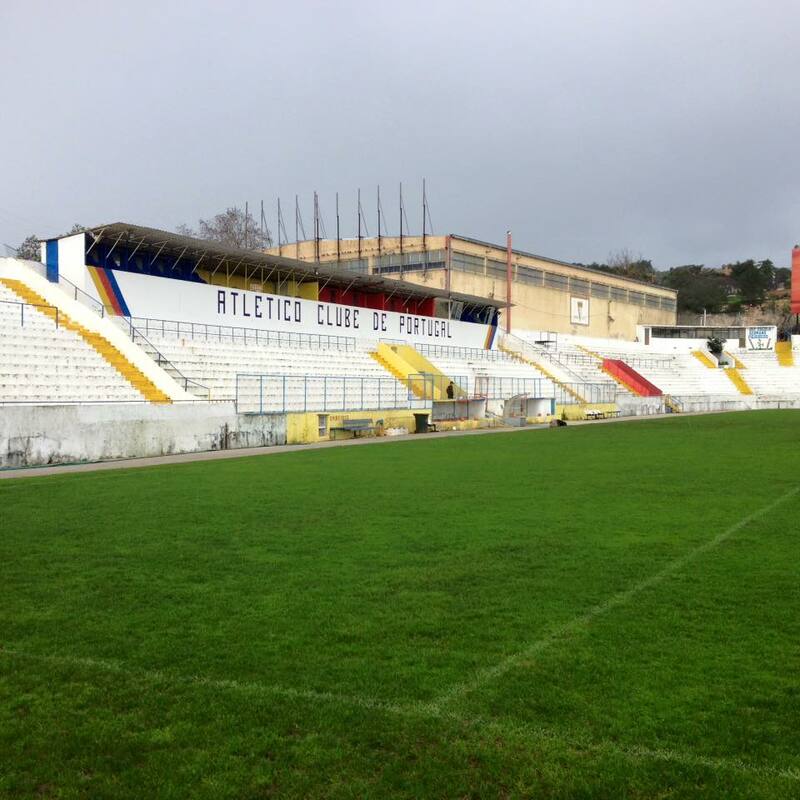 Instead I wandered back down the hill to take a tram onto Belem for a look at my second club of the day; Belenenses.